Bhavyanshu Parasher, a young computer science engineer took a look at Prime Minister Narendra Modi’s Android application (among popular apps he studied for his own research purposes). 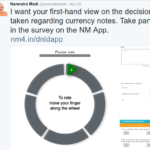 The Narendra Modi app had 500,000+ downloads at that time. 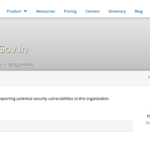 He found a major security flaw in how the app accesses the “api.narendramodi.in/api” API. At the time of disclosure, API was being served over “HTTP” as well as “HTTPS”. “HTTP” was being served on older versions of the app. So people who were still using older version of the app were exposed to additional vulnerability. Data (passwords, email addresses) was being transmitted as plain text. In simple terms, your login credentials could easily be intercepted by MiTM attacks. Another bigger problem was that the token needed to access API was giving a false sense of security to developers. The access token could easily be fetched & anyone could send hand-crafted HTTP requests to the server. It would result in a valid JSON response without authenticating the user making the request. This included accessing user-data (primarily email address) for any user and posting comments as any registered user of the app. 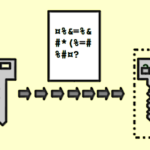 The magnitude of the seriousness of the loophole can be understood with the following exploit. The vulnerabilities have been fixed. Bhavyanshu wrote an exploit to demonstrate how easy it was to extract email addresses using the security flaw. “The API endpoint to fetch user profile information (email address) was getprofile. 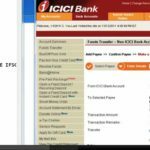 Before the vulnerability was fixed, the endpoint was accessible via “http://www.narendramodi.in/api/getprofile?userid=useridvalue&token=sometokenvalue”. As you can see, it only required two parameters. userid, which we could easily iterate on starting from 1 & token which was a fixed value. There was no authentication check on API access layer. Hand-crafting such requests resulted in a valid JSON response which exposed critical data like email addresses of each and every user.” – Original Vulnerability Disclosure. See, for instance, here is the sample output for xrange(1,10). 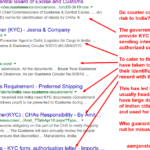 After this security flaw was exposed, Bhavyanshu and I made considerable efforts to draw attention of the Prime Minister’s development team for improving the security, but it would be another three days before the API would stop leaking the information to whoever wished to use the security loophole. It is difficult to say who and how many people have already had access to the user data for all the users of the Narendra Modi app. “Why it took them so long to connect me with developers directly? This issue could have been resolved earlier. The email address provided on play store does not work. Government should find a way to create a direct communication channel between those who report flaws and the developers. They should adopt CVRF.”, Bhavyanshu said. What are the implications for Digital India? At a time when Indian developers are stunned by the emergence of Ankit Fadia (mostly known as a self publicized, copy-paste plagiarist at-best-mediocre script kiddie), while concerns for data security are paramount, for the Prime Minister’s app to leak user information amounts to any malicious entity having a ready list of every social media savvy mobile user supporter of the Prime Minister and ruling party among other citizens. What such information could be used for is anyone’s guess. With the Prime Minister releasing a site a month on an average, the complete lack of interest in securing the application from unauthorized use is alarming. What kind of information crucial to the country could be leaked to the unscrupulous with such a casual approach to securing the information that the government seems bent on putting online if the security for such a key app with 5-6 lakh users was so careless designed. What happens if a hacker publishes problematic information as another user? Digital India cannot succeed if it merely courts the big business of the internet without actually having the competence to secure its own data. That would be like riding a race horse without saddle, stirrups or even knowing how to ride. Sooner or later, the horse goes rogue and you have no way to save yourself, let alone control it.